I was given the opportunity to submit an entry for an exhibit entitled "The Space Between". 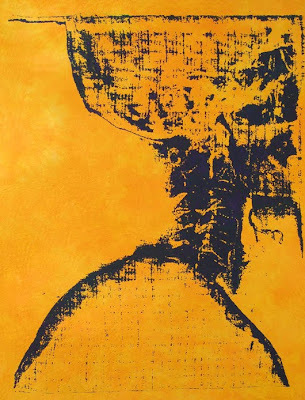 My piece is related to my new found interest in x-rays, MRIs and other body imaging. I'm calling this piece, "Intervals". 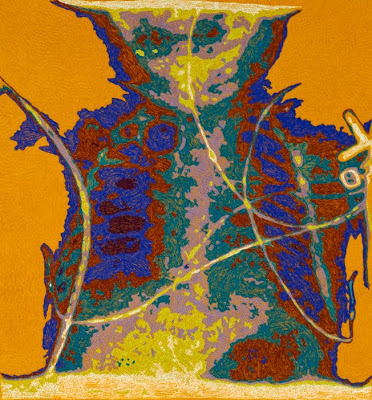 This image is the last of the exhibited works at the Foyer Gallery, Lake Tahoe Community College. The exhibit will continue through June 18th. This piece was taken from an MRI. 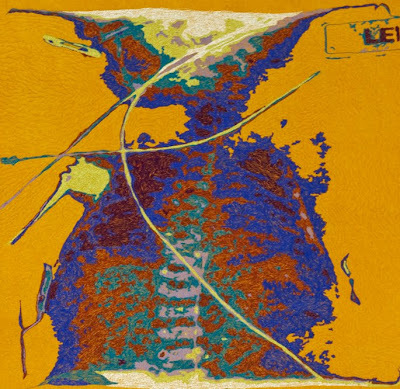 Values were determined then stitched onto hand-dyed silk, densely quilted with monofilament thread. The quilted and embroidered piece was then cut down and attached to a textile painted strip of linen/hemp canvas that was also heavily stitched. 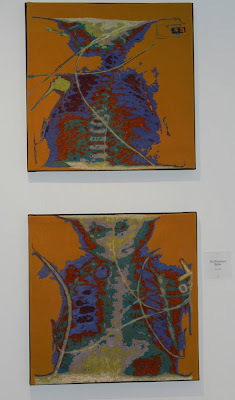 My friend and collaborator, Karen Rips (http://fiberartmusings.blogspot.com) loaned me some x-rays of premature babies. I was so struck by their tiny forms, struggling to get going in life. I wanted to show these forms in stitchery and were the first embroideries where I used value to determine color.